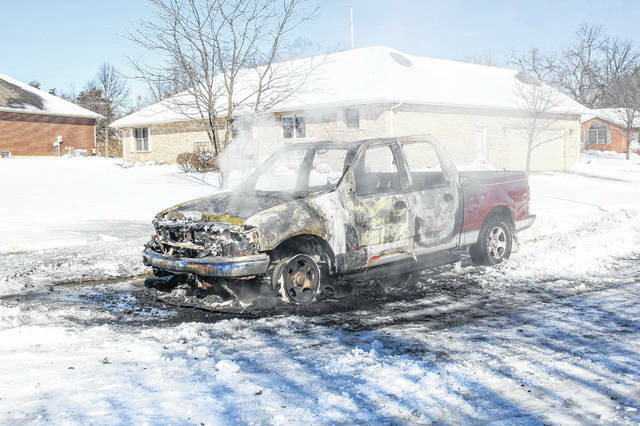 Smoke billows from a pick-up truck that caught fire, Monday, Jan. 21, along Carly Lane in Sidney. The Sidney Fire Department responded to the fire at about noon. Firefighters theorized that someone tried to get the truck out of the snow by rocking it, and the engine overheated.